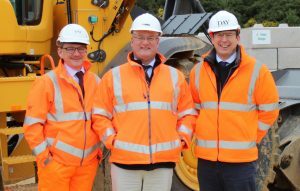 Hills Quarry Products has extended its business partnership with Day Aggregates with the opening of a bagging plant at Mortimer Quarry near Reading. The facility is the third of its kind at a Hills quarry. This is Day Aggregates tenth bagging operation across the Southern region of the UK. The bagging plant at Mortimer Quarry opened in November 2018 and employs six people to operate the provision of bagged sand and aggregates for customers including Travis Perkins, Jewson and Buildbase. 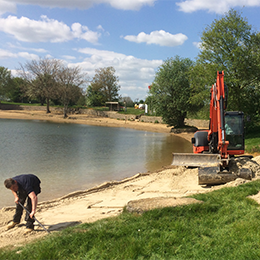 Day Aggregates are currently bagging an average of 220 tonnes of aggregate per day at Mortimer Quarry with the intention of bagging up to 75,000 tonnes per year. 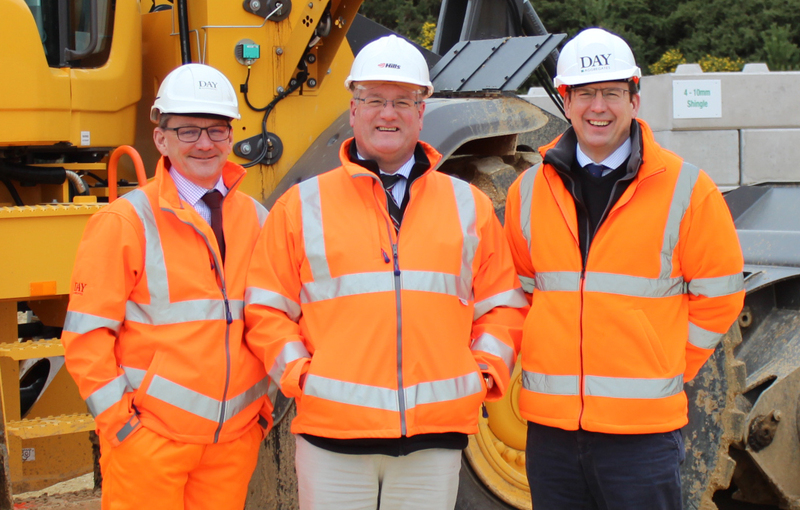 Pictured l-r: Michael Woodward – Production Director at Day Aggregates, Peter Andrew – Group Director at Hills Quarry Products and Jonathan Day – Merchant Sales Director at Day Aggregates.